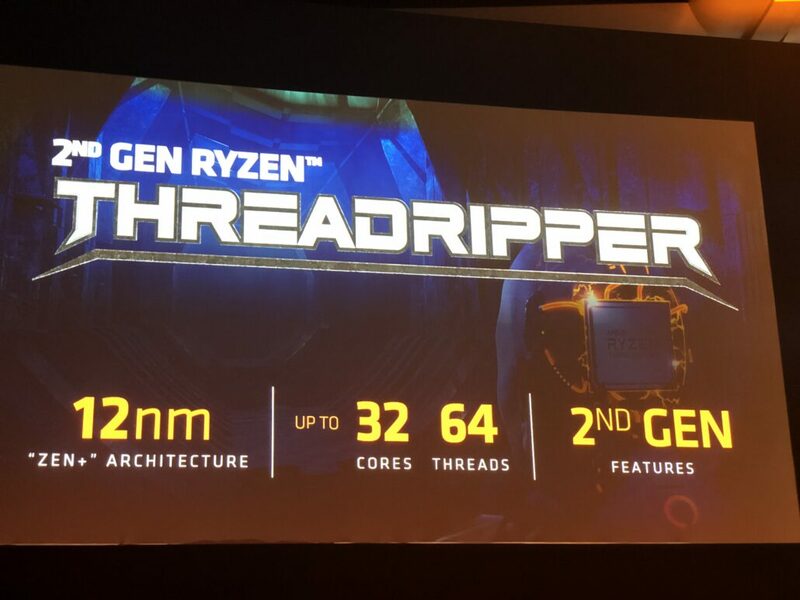 AMD has just dropped the bomb at Computex 2018, showcasing their very first 2nd Generation Ryzen Threadripper flagship processor with up to 32 cores and 64 threads, something we knew would happen and reported last year. The announcement comes a day after Intel announced their flagship 28 core, 56 thread Cascade Lake-X CPU for Q4 2018. The second generation AMD Ryzen Threadripper processors were confirmed at CES 2018 and today, we got the chance to see them in action. The latest Threadripper processors are built on the same 12nm FinFET node that is being used on the current Ryzen 2000 series desktop processors. 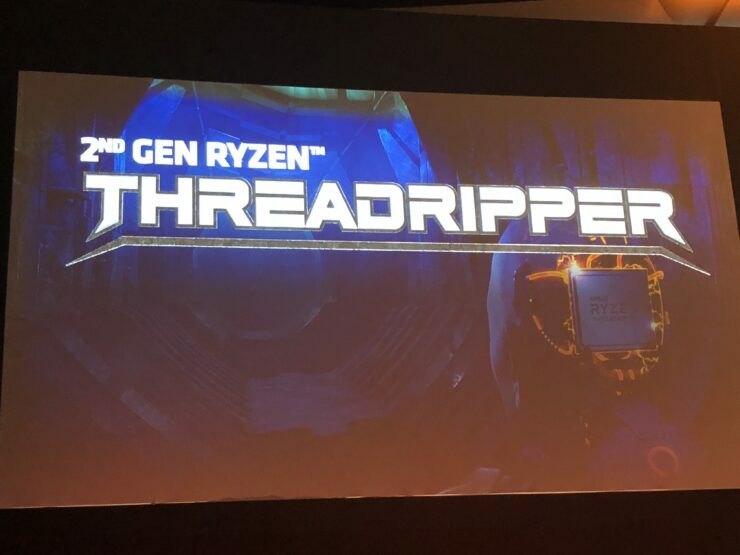 AMD showcased two models of the 2nd Generation Ryzen Threadripper processors, the flagship model which boasts a monstrous 32 core and 64 thread configuration and another variant with 24 cores and 48 threads. 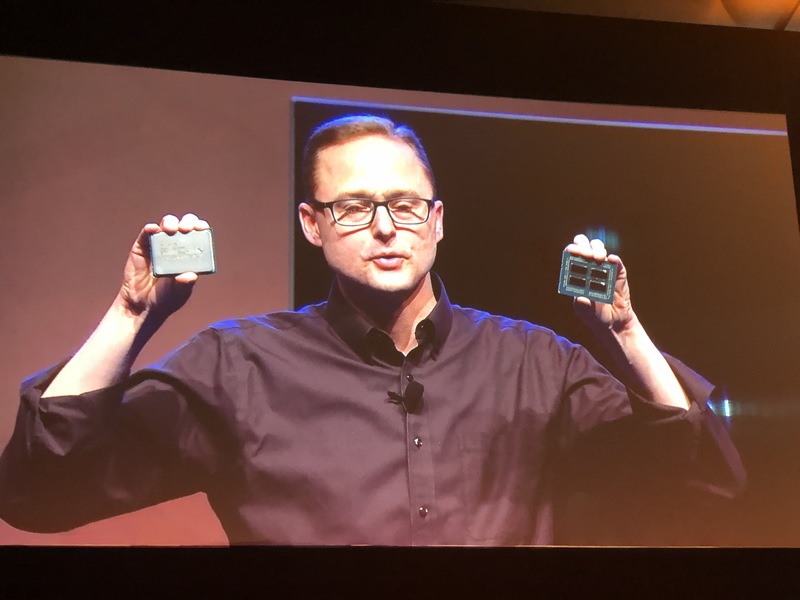 The models AMD showed use the same four die CCX configuration which is being used on the current Ryzen Threadripper processors which are connected via the Infinity Fabric Interconnect. While AMD had two of the dies disabled on the previous processors, the new 2nd generation processors will be using all four dies (enabled). This means we will be looking at more than two models and AMD did confirm that. We can still see two dies disabled on models under 16 cores while anything beyond that would be using the fully enabled die configuration. Just like Pinnacle Ridge processors, the new Ryzen Threadripper processors will feature the latest Precision Boost and XFR clocking techniques for more stable and efficient operation over the current Threadripper variants. We can also expect faster clocks out of the box in terms of both base and booth frequencies and a good gain in overclocking improvements. The new processors will run at a TDP of up to 250W which might exceed some entry-level X399 motherboards but that won’t be a really big issue as AMD mentioned that you can simply replace your current generation Threadripper CPUs with the newer ones on 1st gen X399 motherboards. They haven’t assured the same level of performance, clocks or overclocking benefits as the newer refreshed boards though. AMD will also keep compatibility retained on current X399 motherboards with the TR4 socket but manufacturers will opt to refresh their products on launch in 2H 2018. No words on the pricing yet. 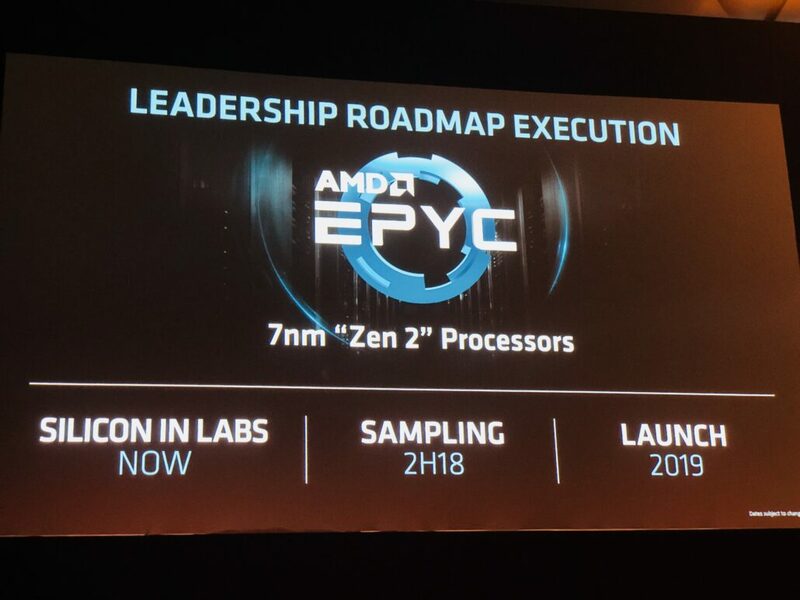 At the conference, AMD also showcased the first ever 7nm Zen 2 based EPYC processor codenamed ROME. The new processor replaces the 14nm “Naples” EPYC processor that launched last year. According to AMD, they have the silicon in labs right now and plan to begin sampling in 2H 2018 with launching focusing on 2019.